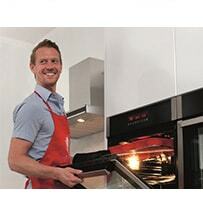 Keeping your oven clean as you go along is the best method to prevent laborious scrubbing and a greasy oven interior. A regular wipe down of the interior and glass, before cooking residue becomes ‘burnt-on’ will keep the appliance from needing an industrial ‘session’! We even have self-cleaning models that eliminate the need to clean at all. The SK510 has an eco-clean setting that heats the internal cavity to around 275° to loosen grease. This, combined with bespoke catalytic liners that fit into the oven cavity, allows you to keep on top of greasy residue and carry on cooking. At the top end of the self-cleaning scale, the SK510 & SK651 pyrolytic ovens have settings that will incinerate cooking residue and grease to a fine ash. 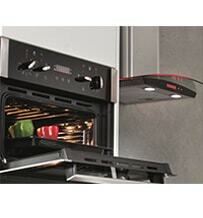 The setting heats the oven cavity to 500°C, automatically locking the door for your safety. 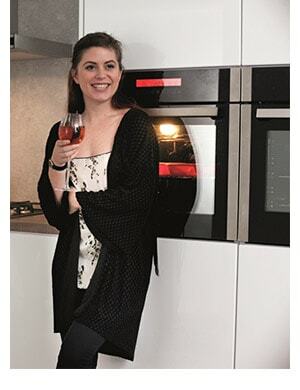 All you need to do is simply select the programme when your oven needs cleaning and wait for the cycle to finish before wiping away the small pile of ash that will be left on the bottom of the cavity. 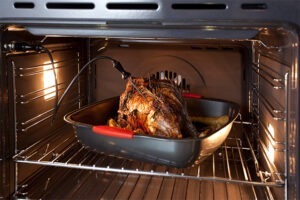 Defrosting food in your fan oven, using the ‘fan only’ function, circulates air around your food as it defrosts gently. This method is perfect for those not wanting to leave food out in sunlight or exposed on the kitchen work surface. If the inside of your oven is overdue a clean, coat the internal surfaces in a paste made from bicarbonate of soda and water, leave for 30 minutes to loosen the dirt and remove with a bowl of warm water and a cloth. If your cooking instructions state to preheat your oven to 200°C, actually preheat to 220°C and then turn the temperature down when you put your food in as you will lose about 20°C in temperature when you open the oven door. The supporting side racks in your oven are removable. Simply unscrew the bolts that hold them in place and remove to give them a thorough clean. If they are sticky or heavily soiled, you can soak them in a solution of warm water and bicarbonate of soda for an hour to loosen any grease and dirt. Then, a wash down in hot, soapy water should bring them back up to their gleaming glory. 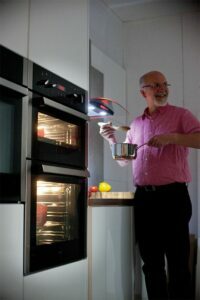 The same treatment can be given to the internal oven shelves. If you have a pyrolytic oven, be sure to remove the shelves before turning on the cleaning cycle. Such high temperatures are not suitable for chrome and may leave your shelving discoloured if they are left in during a pyrolytic clean. In your oven manual, you will find specific instructions on how to remove the door glass on your model. Most types will feature a set of clips at the handle end of the door, these are visible when you open the door. After sliding out these clips, the door glass may also be pulled out for cleaning. Once removed, you can clean your door glass with a glass cleaner if it is only lightly soiled. We recommend any cleaner that contains vinegar, or even a solution of vinegar and water should do the job perfectly; and has the added bonus of being chemical free. If you have a lot of cooking splatters on the door glass, treat the surface to a soak in bicarbonate of soda and warm water to loosen the dirt. The door glass can then be polished up with the vinegar solution for a clear and brilliant shine. With any of our natural cleaning options (lemon, vinegar or bicarbonate of soda) your appliance will be food safe immediately after cleaning. You needn’t worry about harsh chemical formulas seeping into your food. 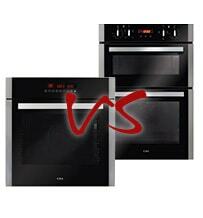 Even better, a pyrolytic oven doesn’t use any chemicals or cleaners so it is perfectly safe to use straight away. If you are a fan of cleaners with chemical muscle or a ‘bang’, make sure that you thoroughly rinse the area before putting food there and open a window to release the vapours outside. 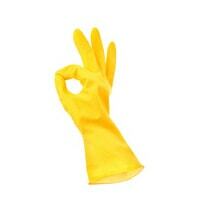 Make sure that you wear gloves too as some of the cleaners are corrosive to skin. Can I leave the house while cleaning my oven? Yes, the added safety features, quadruple glazing and automatic locking system mean that your pyrolytic oven is perfectly safe to leave on a cleaning cycle. If you are concerned about scratching the glass on your oven door, a solution of vinegar and water is the best option for getting a squeaky clean shine with no marks. There are cleaning bags available that you put shelves into for an intense clean. Although effective, they are full of harsh caustic cleaners. ‘Dip tanks’ are a chemical solution to burnt on, difficult to remove grease and dirt. We do not recommend using them in case you damage your oven and accessories. We do however have a hot tip for the most difficult stains and dirt: washing up powder! Yes, a sprinkle of biological powder in a sink full of hot water will let clever little enzymes go to work on your burnt on stains. You will be amazed at the results. Wiping away fat, grease or spilt food is always quicker and easier if you do it straight after cooking, when the oven has cooled of course. 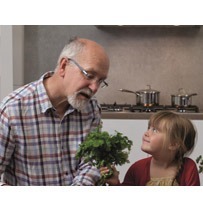 How often you clean your oven comes down to how often you use the oven and your cooking style. 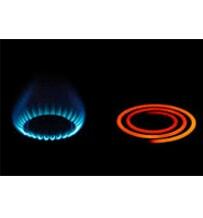 Roasting regularly and cooking fatty food will no doubt leave more grease for you to clean up in your appliance. However, if you are a casserole or baking fan, your oven may not need quite as much cleaning attention. 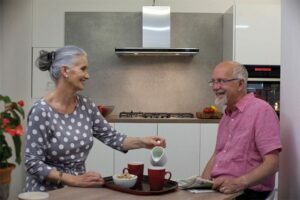 There are other options available to help with the maintenance of your oven. 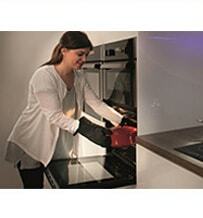 Catalytic liners can be fitted to the internal cavity of your oven. These absorb grease and dirt and will need replacing when saturated. 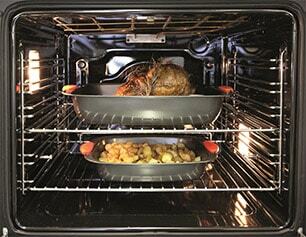 The right size of catalytic liner for your oven will be listed on the product page for your model. Never line your oven with foil. This will damage the elements and cause potentially devastating damage to your appliance. Similarly, never put foil under the grill. The foil reflects heat back up to the heating element and damages the thermostat. 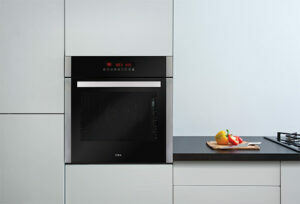 When you read ‘self-cleaning oven’ we are referring to models with a pyrolytic function. Once selected, the cycle automatically locks the door and heats the internal cavity to over 400°C to incinerate the dirt and grease inside to a fine ash. The small pile of grey ash can then be simply wiped away after the cycle has finished and the oven has cooled. The door will not unlock again until the internal cavity has cooled to a safe temperature. Your pyrolytic cycle will cost around 45p to run, which is still cheaper than a bottle of branded oven cleaner. 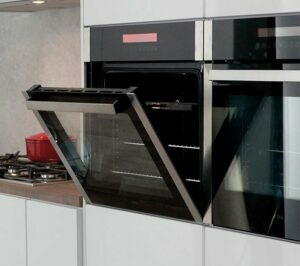 If you are using a pyrolytic oven always ensure that you remove the oven shelves before turning on the cleaning cycle. The enamel inside the oven is perfect for withstanding the high temperatures whereas the chrome shelving is a little more sensitive and could discolour if left in place during a pyrolytic clean.